I was tagged by Deanna @A Novel Glimpse to do the Fall Time Cozy Book Tag. 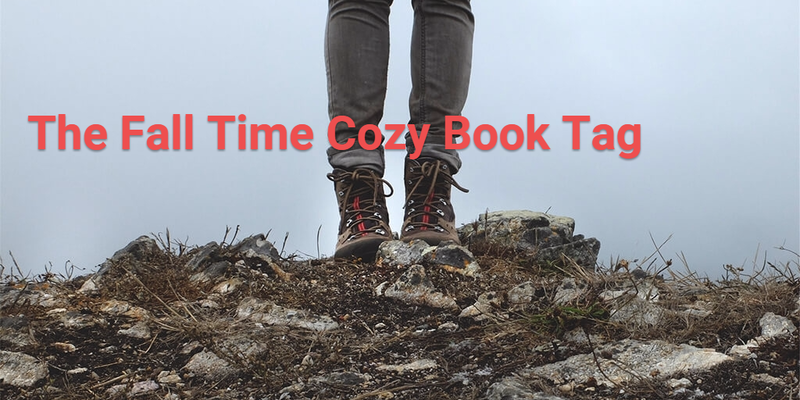 The Fall Time Cosy Book Tag was created by Sam @Novels and Nonsense. I will include each synopsis of the books I have picked. Cosy Sweater: It’s finally cold enough to don warm cosy clothing. What book gives you the warm fuzzies? I would love to trade places with Hermione Granger!!! I would love to learn how to use magic and drink butterbeer! People should read The Winner’s Trilogy!!! I feel this series is really under hyped at the moment! I rather read Twilight in public than this book. This is a reverse harem romance, which involves multiple men falling in love with one heroine. So if you like a contemporary romance with seven bishonens (beautiful/hot male) heroes pursuing one pretty young woman with all the love, angst, and drama that you’d expected from this genre, then this is the book for you. which brother will she choose? In Japan, Sakura is the beautiful cherry blossom that blooms vibrantly in spring and symbolizes the insightful Buddhist phrase ono no aware, which means the pathos of things, a metaphor for the ephemeral nature of life. FALLING FOR SAKURA is the story of Caucasian-Japanese Sakura, her journey to finding herself, and her torn love for two very different brothers, Sebastian and Darcy Princeton. Orphan Sakura, with no last name, is accustomed to being rejected, hated, bullied, and unloved. When she is adopted by the wealthy Princeton family, her seven brothers refuse to accept her, and her two sisters constantly bully her. Instead of admitting defeat, she gladly takes on her new life with a brave face, working hard to earn her new siblings’ trust and love. Her endeavor, however, ultimately leads to a series of unfortunate incidents. Now years later, the twenty-three-year-old beauty dreads the moment she once again has to meet the drop-dead gorgeous brothers, due to arrive for their cousin’s wedding. Dodging their very presence is next to impossible since the brothers, who have forgotten who she is entirely, are attracted to her like moths to a flame and thwart her escapes at every turn. This, of course, leads to ungodly, tempting situations, awakens forbidden feelings, and ignites old flames that have been suppressed and laid dormant for many years. When she finds them competing for her—NOT for her sisterly affection, which she still deeply craves, but for her love as a woman—she is torn between Sebastian Princeton, the brother who loves her and watches over her from a distance, and Darcy Princeton, the brother who was once her best friend and now secretly yearns for her forgiveness and her love once again. I love, love, love eating pozole verde, pan dulce, and abuelita’s hot chocolate for the fall! I feel those are perfect foods for the fall. I love the fall colors on the Hawaiian flowers! So pretty.